COAL supply deals signed by Eskom more than 10 years ago would be referred to a special investigating unit, said Businesslive citing the comments of Lynne Brown, minister of public enterprises, the department to which Eskom reports. Brown was speaking in Parliament before the Standing Committee on Public Accounts which also heard from Eskom CEO, Brian Molefe, regarding a coal contract between Tegeta Exploration and the power utility. A report by auditing firm, PwC, found that Eskom had not applied the correct controls in vetting a number of coal sales agreements with suppliers, including coal supplied from Tegeta’s Brakfontein mine. 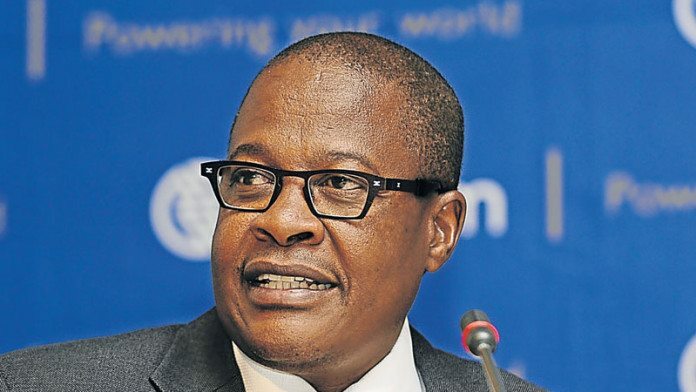 Molefe was quoted in an Eyewitness News report as saying: “The engagement with Tegeta on the Brakfontein colliery and the engagement with Tegeta about their contract on the Brakfontein colliery, actually started in May 2013. I arrived at Eskom in April 2015”. It’s not the “engagement” that’s the problem Brian, it’s what and how it was consummated you on your watch! Don’t start crying again, nobody believed you the first time! I think your tears were because of all the money you knew you would not be able to make for yourself and your other gangsters! The openness of your corruption is breathtaking! Have you no shame? The whole bunch make my stomach churn! Only upside is their antics are destroying the ANC and eventually good for a balanced democracy. How they think they will get away with all the steeling is beyond me? Will be nice to see how they all handle prison! I guess if they like taking advantage of others it will be a fitting punishment to be taken advantage of themselves!